Welcome to Fr Habte Ukbay Neghassi: Fr. 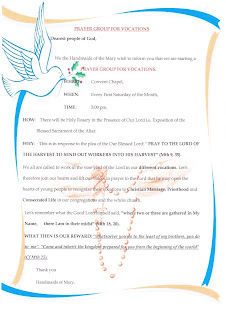 Habte is originally from Eritrea, he studied with the Franciscan Capuchins in Eritrea and in Rome, and he was ordained to the priesthood on 20 July 1997 in Asmara. On 13th October 2013, Father Habte became the parish priest at St. Simon and St. Jude Streatham Hill. Previously to this Fr. 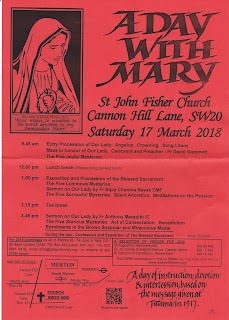 Habte served as the assistant priest at St. Ann’s parish Kingston Hill and St. Boniface Church, Tooting for seven years. While based at St Boniface he also served as the Catholic Chaplain to St. George’s Hospital. On 20th December 2017, Fr. Habte has been appointed as the chairman of the Diocesan commission for justice and peace and integrity of creation. Fr Chris will swap with Fr Habte on Saturday evening and Fr Przemek will swap on Sunday. 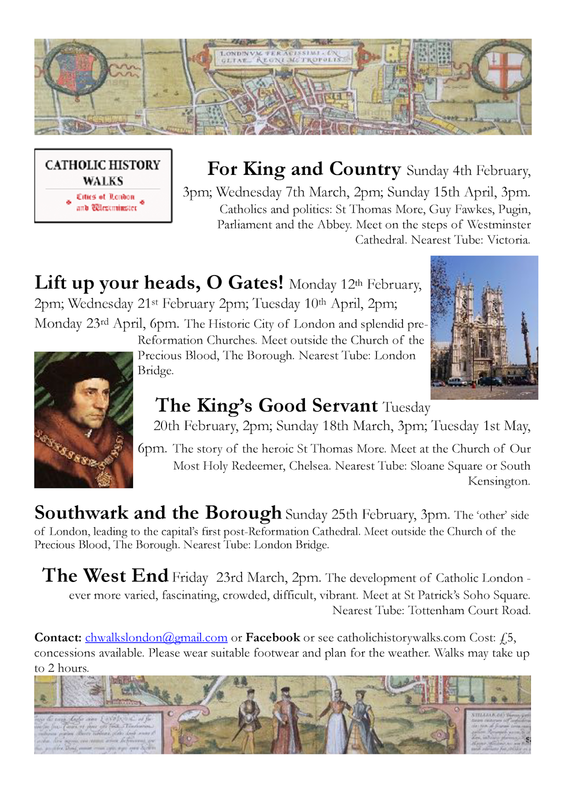 Next Week: Fr Michael Creech from St Mary's, Clapham. 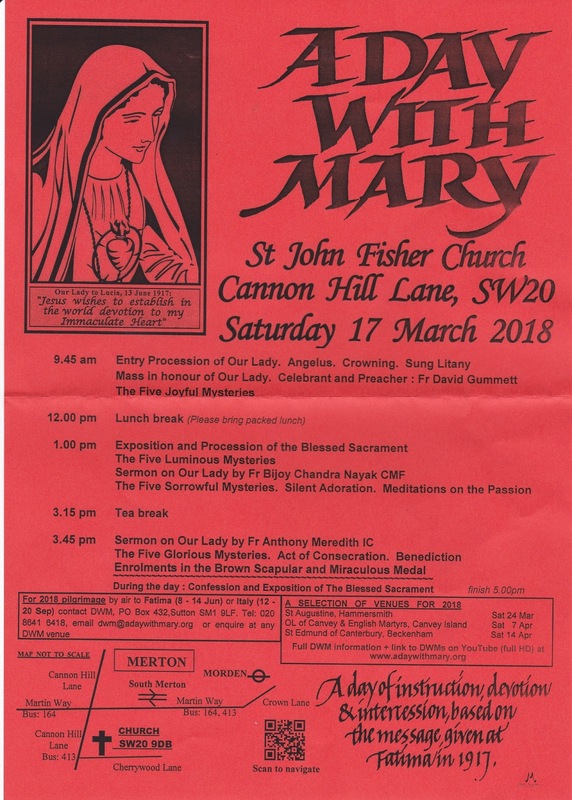 24 Hours for the Lord: In response to the Pope’s request, the Lambeth Deanery will be holding their “24 Hours for the Lord” at two Churches: St Mary’s in Clapham and Church of the Holy Redeemer (Scalabrini Fathers), Brixton Road. There will be Eucharistic Adoration all night and plenty of opportunity to go to Confession. More details to follow soon. Join us for St Patrick's Night Celebration - Saturday 17th March: 7 for 7.30pm. 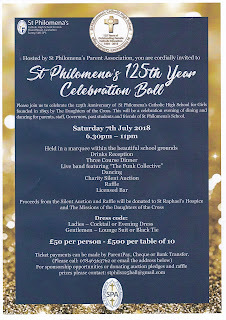 All things Irish: 3 Course meal, live music, singing and poetry. 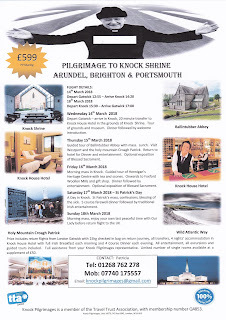 Book in advance £20 per person – phone Mick Cronin or see Fr Christopher. 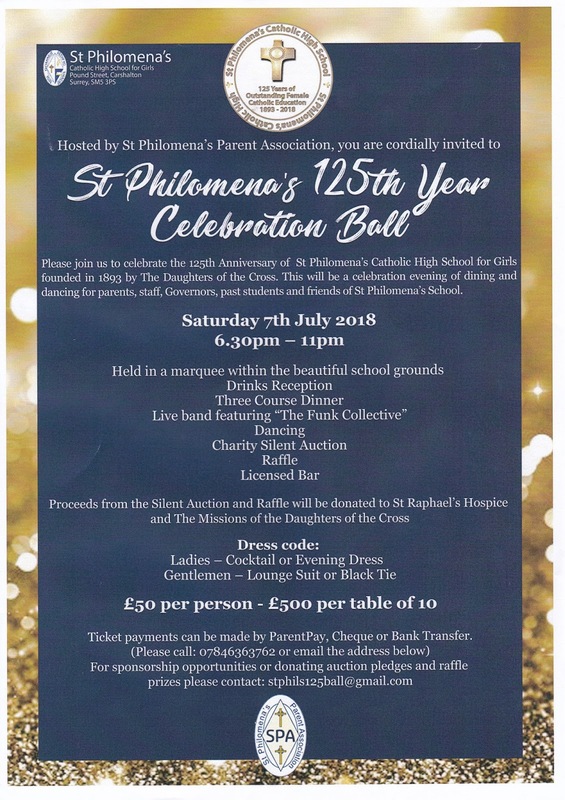 All proceeds will be split between Parkinson UK, Cancer Research and St Bede’s Bazaar fund. Welcome to our Confirmation Candidates and their parents: Today (Saturday) we kick off our programme for 2018 with a meeting for all the candidates and their families. Bishop Patrick will come on Sunday 27th May to confirm our 17 candidates. 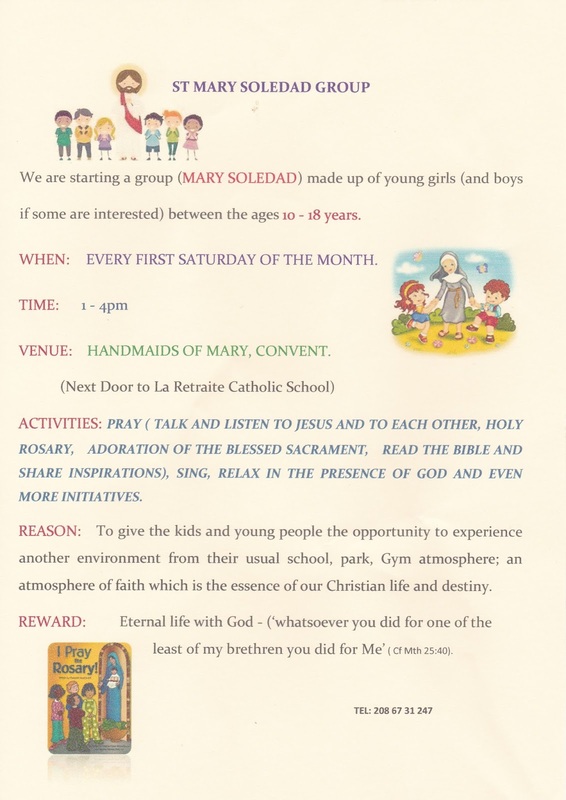 St Mary Soledad Group: Starting next Saturday (3rd March) our Sisters are starting a group (St Mary Soledad) made up of young girls and boys between the ages of 10-18 years. It will take place at the Convent, every 1st Saturday of the month from 1pm to 4pm. 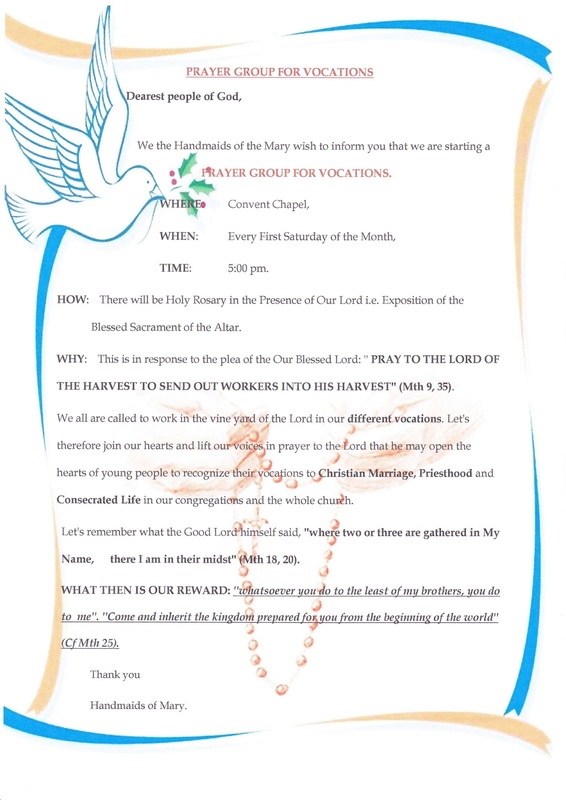 Prayer Group for Vocations: They also have a monthly prayer group from 5-6pm on the first Saturday of the month with Rosary & Exposition of the Blessed Sacrament. Cleaners this week: Tricia & Emma Johnson, Teresa Ablett and Franca Otuo. 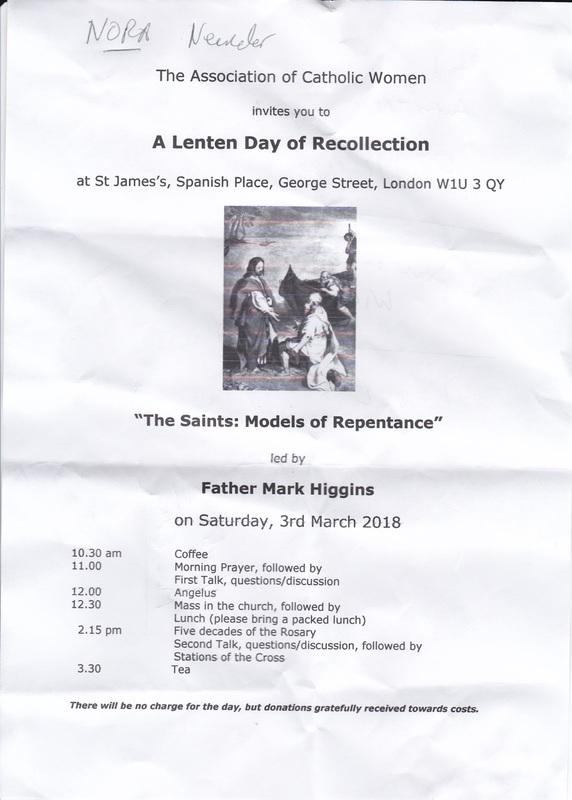 A Lenten Day of Recollection: at St James’s Spanish Place, Saturday 3rd March. 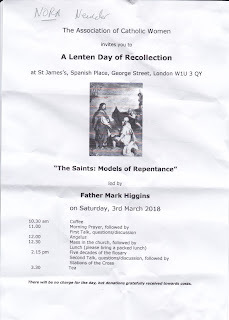 “The Saints: Models of Repentance” led by Fr Mark Higgins. Starts 10.30am and ends at 3.30pm. 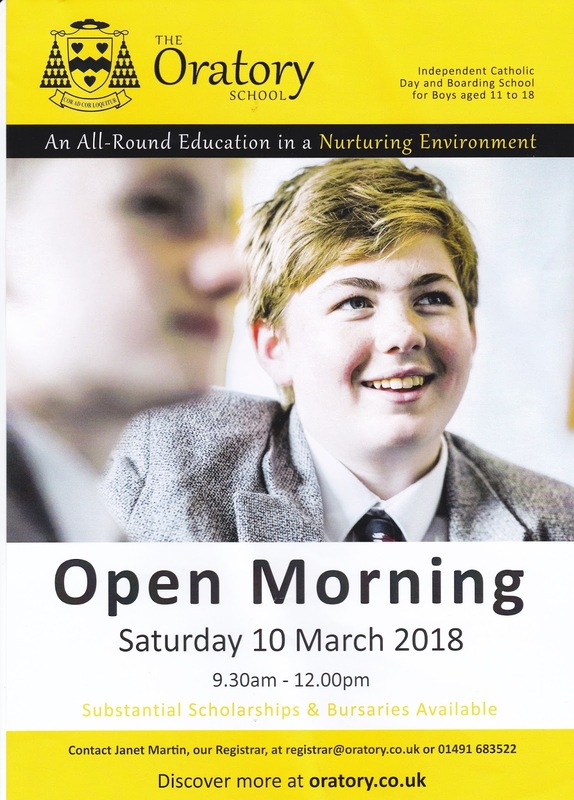 Open Morning - The Oratory School: Saturday 10th March 9.30am to 12noon.